The Stanley Regt. 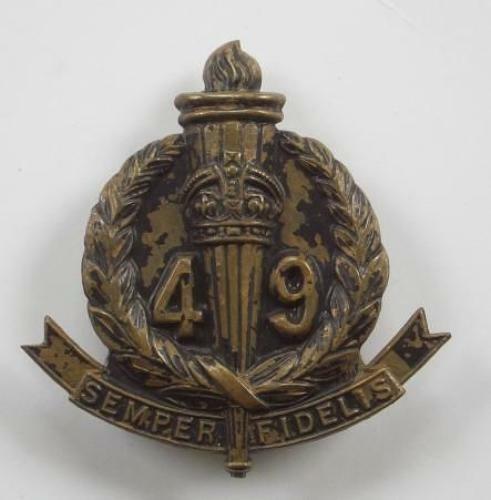 49th Australian Infantry Battalion brass slouch hat badge circa 1930-42. A good die-stamped example on flat style loops.